A significant rise in snaring has been noted in the North East by a few of our Members in recent years. One of the local figures to bring this to our attention was the late Jimmy Oswald, who was himself a Deeside gammie for many year. Many of us are going to miss his cheerful and lively countenance for a good while yet. Earlier this year the Scottish Executive held a Consultation on this very subject Snaring in Scotland. NEMT submitted a response (PDF). 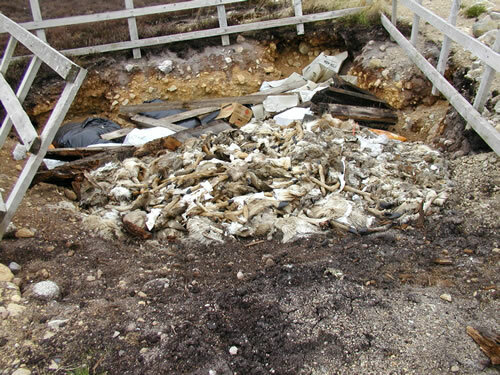 Photo taken on Deeside showing Midden around which snares are placed to catch wildlife.